Osinbajo orders security agencies to stop communal violence in Cross River – Royal Times of Nigeria. 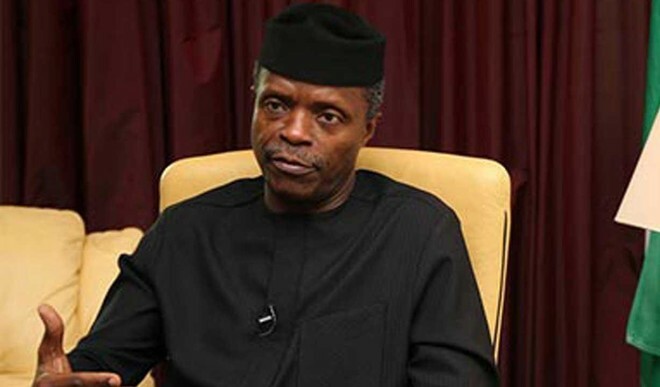 Acting President Yemi Osinbajo has condemned the loss of lives and property as a result of the recent communal conflict between the Wanikade and Wanihem communities in the Yala Local Government Area of Cross River State. Osinbajo has directed the security agencies to take urgent measures to avert a further breakdown of law and order. This was disclosed in a statement by his Senior Special Assistant on Media & Publicity, Laolu Akande. Acting President Osinbajo appealed to the warring communities to give peace a chance in order to enable government find a lasting solution to the crisis.